Is It OK for Your Child to Have an Imaginary Friend? Whether your child insists his friend needs his own chair at the dinner table or you overhear him talking to an imaginary friend whenever he’s in a room by himself, imaginary companions are quite common in childhood. And while there’s nothing wrong with kids who don’t have imaginary friends, children who have imaginary companions shouldn’t be a cause for concern either. In fact, some studies show there are many benefits to having imaginary friends. All kids pretend their dolls can talk or that their toys possess magical powers. 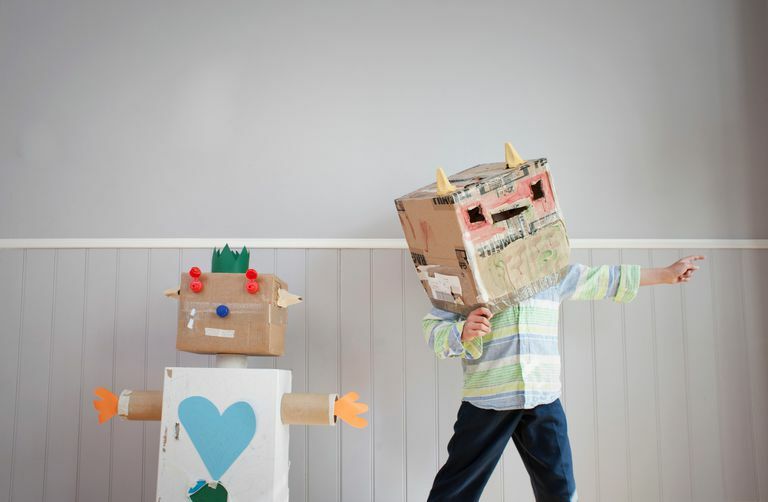 But some kids take their dramatic play a step further and invent an imaginary friend. A study conducted by researchers at the University of Oregon found that by age 7, 37 percent of children had an imaginary friend. Some research indicates that kids with imaginary friends are more likely to be first-born or only children, but that doesn’t mean imaginary friends are just for kids who are lonely. In fact, studies show kids who have imaginary friends are quite social and creative. Imaginary friends usually aren’t a sign that a child is troubled. But, imaginary friends can be a tool kids use to cope with their troubles. Kids who have experienced trauma, for example, may rely on imaginary companions to help them through times. While some parents worry that the invention of an imaginary friend means a child doesn’t have any real friends, imaginary friends don’t indicate social problems or a lack of social skills. Imaginary friends can, however, serve as a safe way to practice friendship skills, like resolving conflict and sharing. Talking to an imaginary friend can even improve a child’s communication skills. Engaging in dialogue with an imaginary friend requires a child to take on the imaginary friend’s perspective. Consequently, studies show kids with imaginary friends may be better at understanding a listener or observer’s perspective. Don’t challenge the existence of your child’s imaginary friend. Instead, it’s OK to play along. That’s not to say you need to serve your child’s imaginary friend his own bowl of cereal, however. You can set some limits on what you’re willing to do. It’s OK to ask questions about the imaginary friend, such as, “What types of things does your friend like to do for fun?” Your child will likely enjoy telling you all about his friend. Most kids outgrow their imaginary friends in grade school, but there’s not a specific age when you should insist your child stop engaging with their imaginary friend. Even in the tween years, an imaginary friend likely isn’t a problem. A 2010 study found that high-risk pre-adolescents with imaginary friends had better coping skills and better positive adjustments than their peers. Kids understand that their imaginary companion isn’t truly there—even when they insist their friend needs his own cookie. On the rare occasion where a child struggles to separate reality from fantasy, it’s important to talk to the pediatrician. It’s likely only a problem if your child can’t understand that his friend truly doesn’t exist (which could be a sign of a mental health issue). But, know that psychosis in children is rare. An imaginary friend in childhood also isn’t a predictor of psychosis later in life. A 2019 study concluded that kids with imaginary companions were not any more likely to develop dissociative symptoms in adulthood. So let your child decide when to stop interacting with his imaginary friend. In the meantime, enjoy the extra company in your home. Davis PE, Webster LA, Fernyhough C, Ralston K, Kola-Palmer S, Stain HJ. Adult report of childhood imaginary companions and adversity relates to concurrent prodromal psychosis symptoms. Psychiatry Research. 2019;271:150-152. Mathur R, Smith MC. An Investigation of Imaginary Companions in an Ethnic and Grade Diverse Sample. Imagination, Cognition and Personality. 2008;27(4):313-336. Roby AC, Kidd E. The referential communication skills of children with imaginary companions. Developmental Science. 2008;11(4):531-540. Taylor M, Carlson SM, Maring BL, Gerow L, Charley CM. The Characteristics and Correlates of Fantasy in School-Age Children: Imaginary Companions, Impersonation, and Social Understanding. Developmental Psychology. 2004;40(6):1173-1187. Taylor M, Hulette AC, Dishion TJ. Longitudinal outcomes of young high-risk adolescents with imaginary companions. Developmental Psychology. 2010;46(6):1632-1636.